Over the coming months many of our members’ health insurance will fall due for renewal. The recent dramatic increases in the cost of this insurance, combined with the reduction in pensions and increased taxation, will have prompted many to shop around for a cheaper quote. ARCO has been examining the situation and has found that, for instance, the so-called ‘teachers’ and ‘nurses’ plans operated by some insurers are in fact open to everyone. It also found however that the health, family circumstances, location, etc. of each individual will impact on their choice of cover. As a result it is not possible to recommend a specific plan or insurer that will satisfy the needs of all ARCO members. Before opting for a plan members are urged to examine carefully the choices open to them, bearing in mind their own individual needs. In particular they should avoid making a decision based simply on taking out the cheapest cover available. This could very well turn out to be a false economy, especially as most of us are entering the stage of life where medical treatment is becoming more frequent and more important. In order to assist you in making this decision you should consult the website of the Health Insurance Authority (www.hia.ie) which provides independent information and comparisons to consumers on health insurance plans and benefits. The HIA is the statutory regulator of the private health insurance market in Ireland. Looking for that ideal present for the military person in your life? 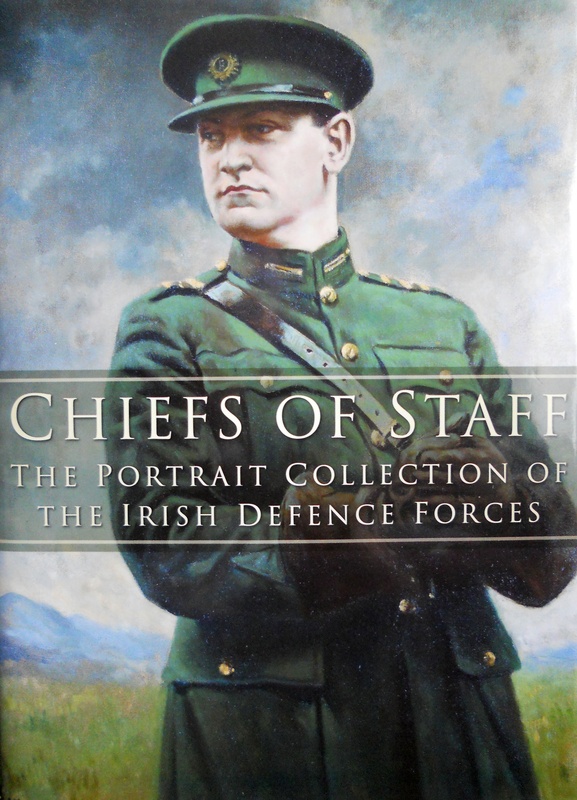 Chiefs of Staff: The Portrait Collection of The Irish Defence Forces, edited by Colonel Tom Hodson, could be the answer to that ongoing problem. The Book has a foreword by the President of Ireland, Mary McAleese, together with fascinating articles on the collection itself and on the historical perspective in which they are set. There are biographical details of the individual Chiefs of Staff and of the artists, as well as outstanding reproductions of the portraits themselves by Commandant Paddy Walshe. It is now available, cost €50, from Commandant Pat Casey, McKee Officers’ Club, C/O McKee Officers’ Mess, McKee Barracks, Blackhorse Avenue, Dublin 7. The Curragh Military Museum is well worth a visit by the history buffs among us or as part of a great family day out. The following information will help with the planning. Lt. Col. Raymond F. Swan R.I.P. ARCO regrets to inform its members of the death of Lieutenant Colonel Raymond F. Swan, of "Ashdene", Standhouse Road, Newbridge, Kildare. On Friday, 30 September 2011, peacefully at Naas Hospital. Beloved husband of Elsie and brother of the late Desmond. Deeply regretted by his loving wife, daughters Deirdre, Louise and Catherine, son Raymond, sons-in-law, brother Kevin, sisters-in-law, brothers-in-law, grandchildren, nephews, nieces, relatives and friends. Reposing at Anderson & Leahy's Funeral Home, Newbridge from 3.30pm on Sunday evening, 2 October, with removal at 4.30pm to St. Conleth's Parish Church, to arrive at 5pm. Funeral Mass at 11am on Monday morning, with burial afterwards in St. Conleth's Cemetery, Newbridge. Family flowers only, please.